This is the menorah that we usually use. Over 35 years old (so it’s vintage!) made by my husband when he was around 4. If you can get your hands on one of these, you should use it for sure. Only horrible people with cold hearts don’t like them. Plus it’s probably free. 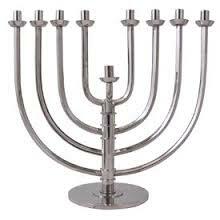 This is Menorah #1. 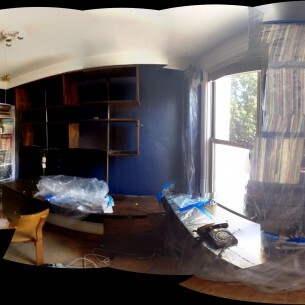 So here we go, trying to get it together on the fly again. First things first: The equipment. We have a menorah (see photo above) though I have just realized that we are out of candles. I only like the plain, white or natural beeswax candles, which are, for some reason that I do not understand, very difficult to find. Multi colored, striped, sparkly? No prob. Plain? Good luck. Thank god for Amazon. I just ordered mine, but supply is low so you guys better get on it lest you be stuck with whatever they have at the Whole Foods check out. And then the menorahs. If you don’t have one that your husband (or wife, or girlfriend, or uncle…) made as a kid, there are untold millions of models to choose from. As with anything, one tends to have to scroll through lots of ‘maybe-nots’ to find the ‘that-could-work’ ones. Which I did. Last night. For HOURS. Here are 6 (in addition to the sentimental one above) that I thought I might choose should the need suddenly arise. Hopefully, if you are actually in need, this post will save you from painful hours of late night scrolling. 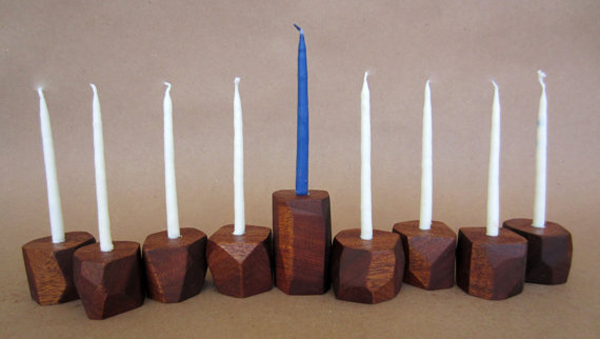 Next up, Few Bits on Etsy is making this modular wooden menorah out of sapele (a wood in the mahogany family) You can place the candles in any configuration (gives the kids something to do and the in-laws something to argue about) and each block is hand carved to order and as such, unique, which is always a plus in my book. 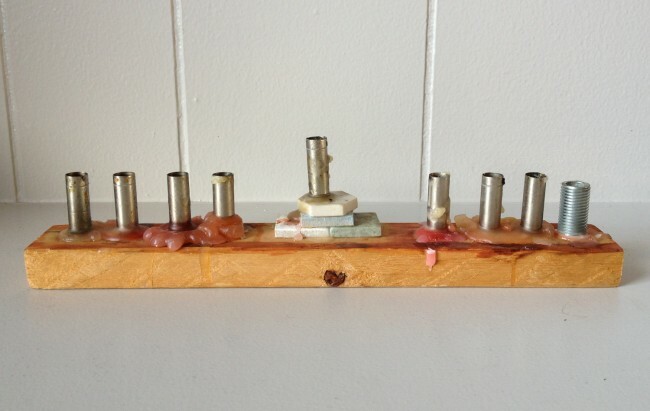 Out of the woods and into the factory with this industrial menorah made from copper pipes. I think my husband, who is obsessed for some reason with making things out of pipes, is going to love this one. If money were no object, I might go for this one, by Christoffle. 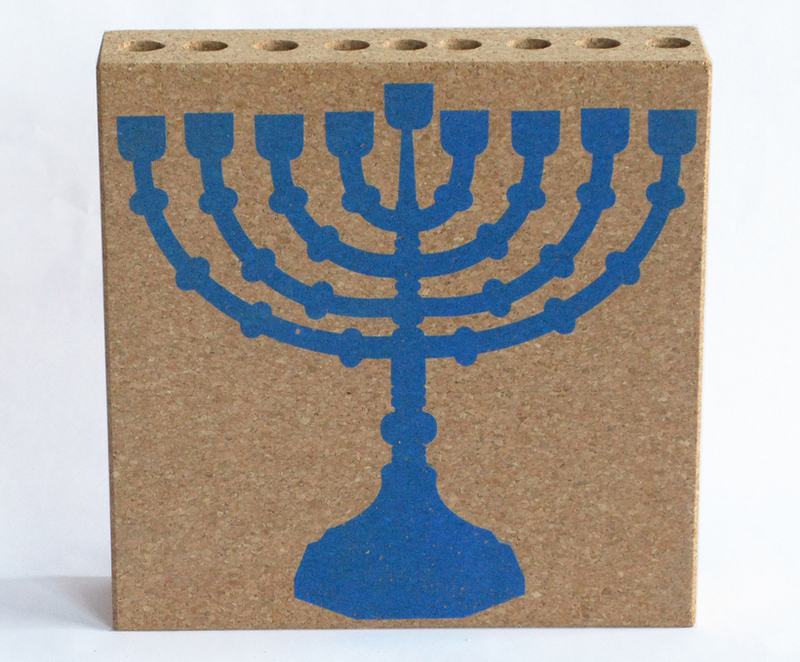 Option #6: The Classic Modern Menorah from The Jewish Museum. And finally, this Daniel Michali cork menorah is different but still feels true to the spirit of the holiday. 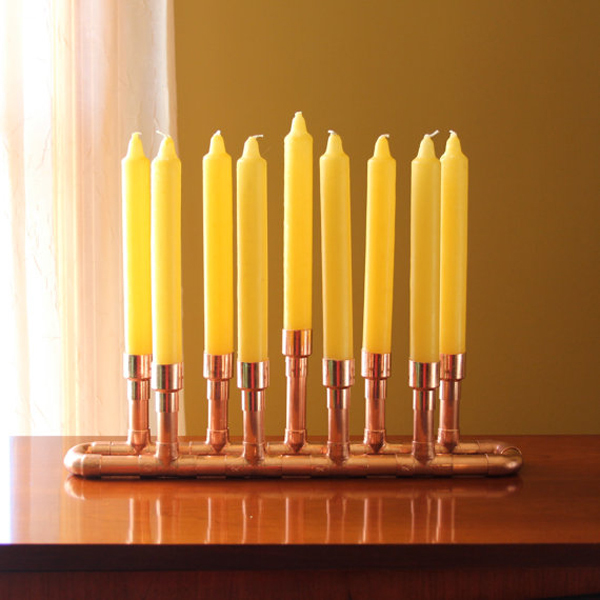 Perfect for when you’ve just moved into your new loft apartment in Toronto and forgot to look in the basement for your preschool menorah when you were at your folks house last month. 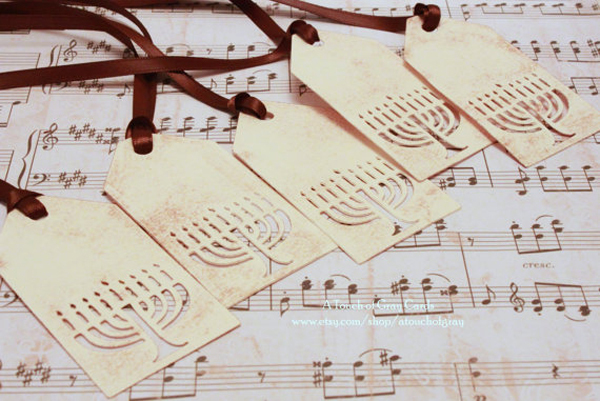 Oh and while I have you on the horn, these double layered menorah gift tags are nice too. 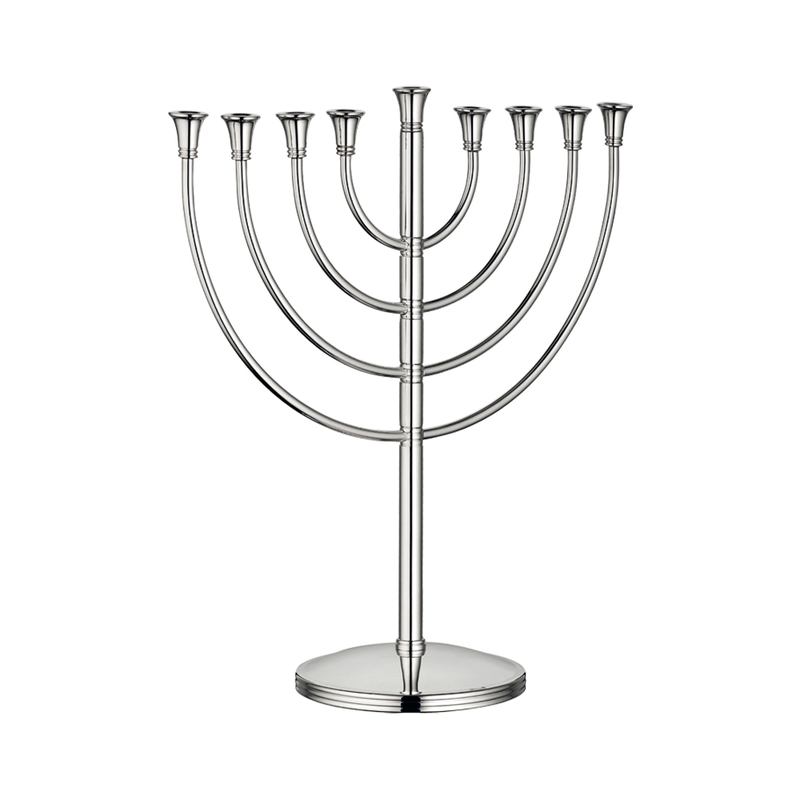 Feel free to add any suggestions of other nice menorahs in the comments. We need all the help we can get.